Welcome to the next 2019 NEO-AVA Program. 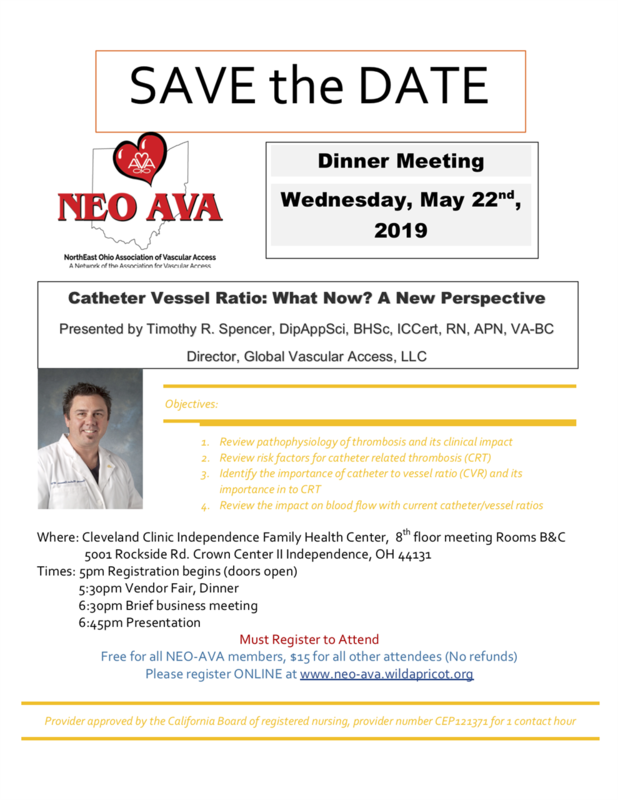 This one is going to be so exciting as we have the 2019 Suzanne Herbst Award Recipient, Tim Spencer speaking to our group on "Catheter Vessel Ratio: What Now? A New Perspective." This program is sponsored by Teleflex and will have vendor tables and dinner along with 1 CE awarded. Please register for the program early as seating in limited!